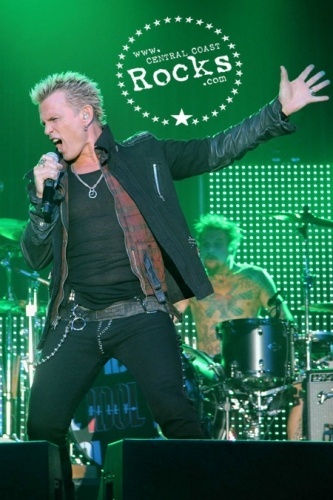 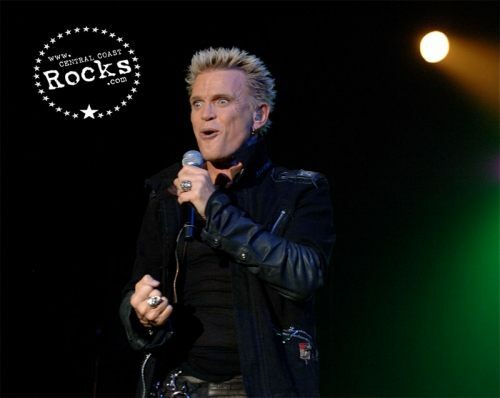 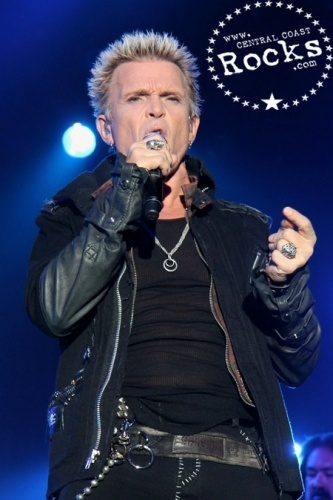 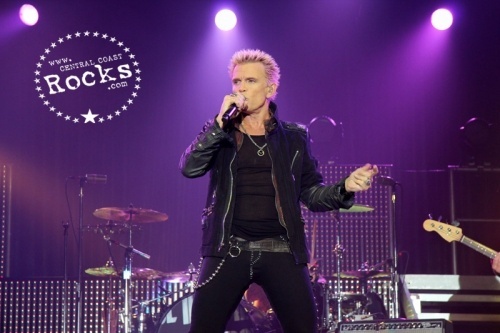 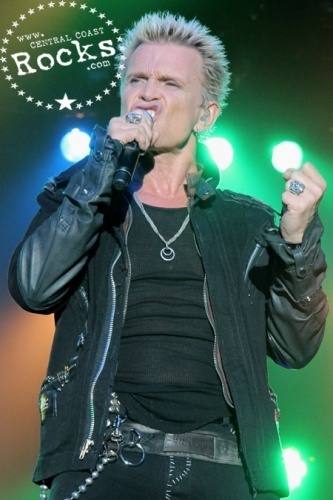 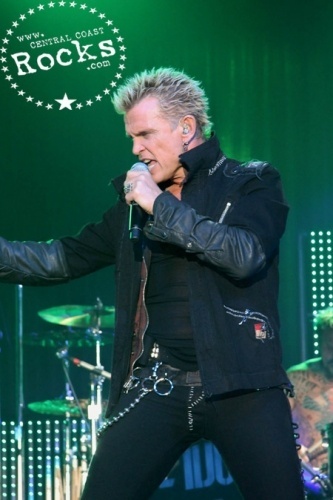 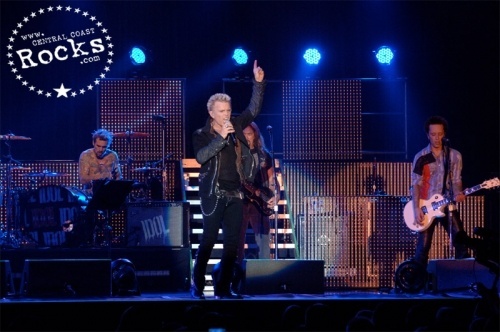 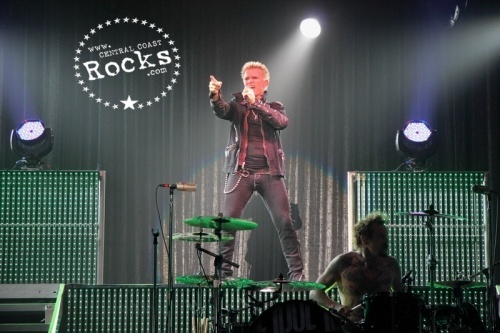 Rock stars come and go, but Idol is forever… BILLY IDOL remains crucial to rock ‘n’ roll. 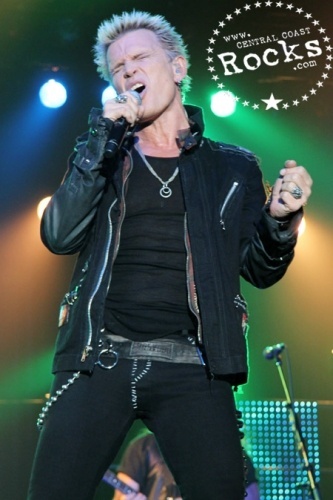 His style, charm, charisma and bravado transcend trends and time. 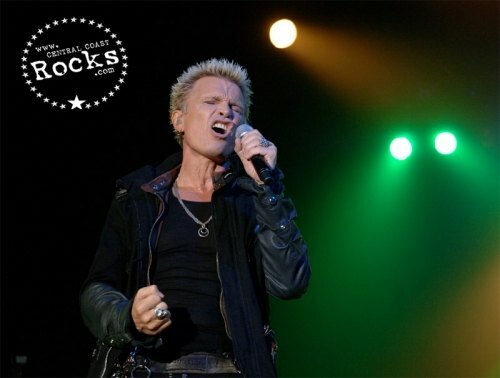 Where would rock music be without him? 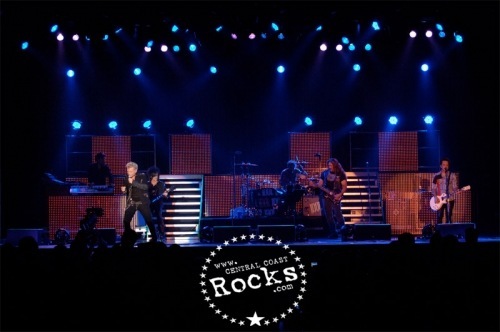 Would it look the same? 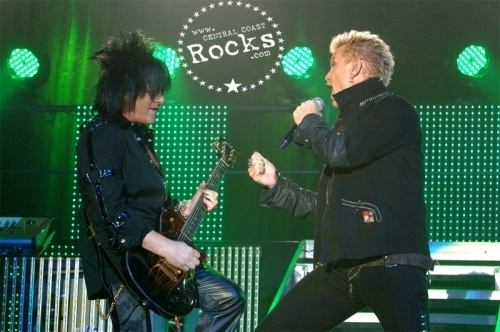 Would it sound the same? 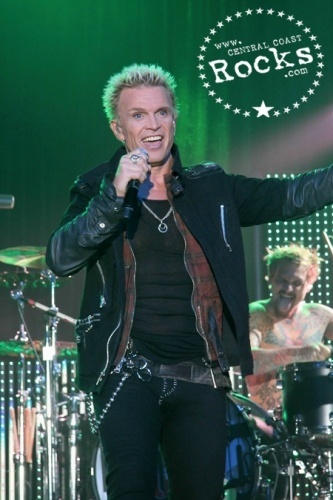 Who hasn’t chanted along to “Rebel Yell,” “Mony Mony” or “White Wedding”? 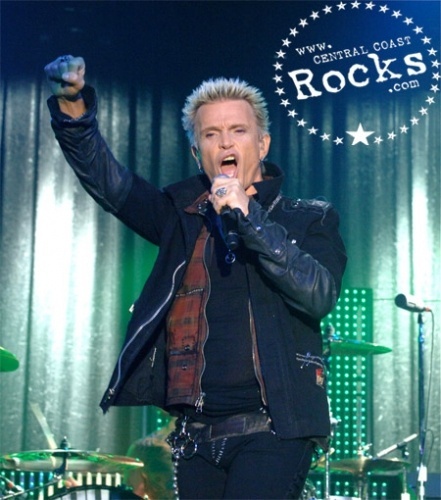 Idol and his band proved once again at the Chumash Casino that great Rock n Roll songs and a supercharged live show are always a crowd pleaser. 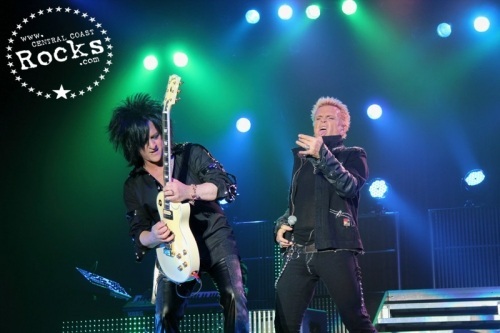 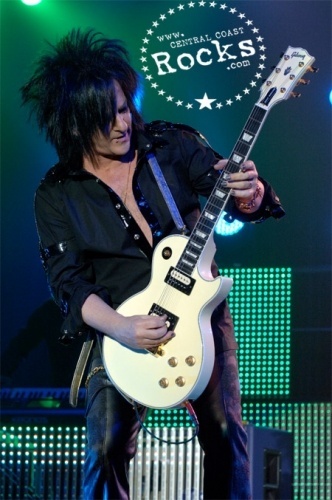 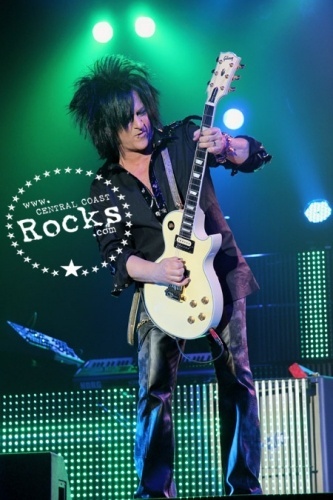 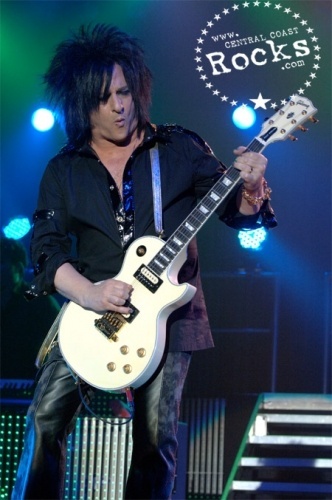 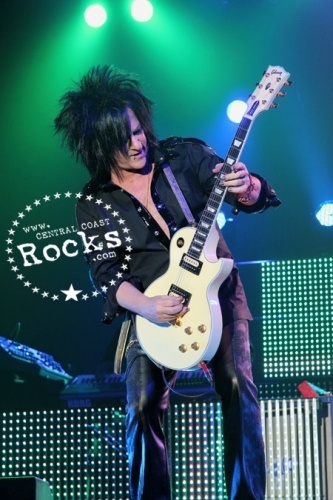 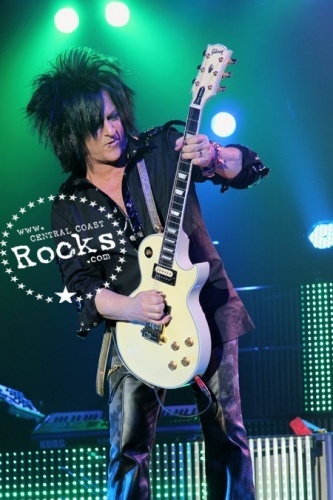 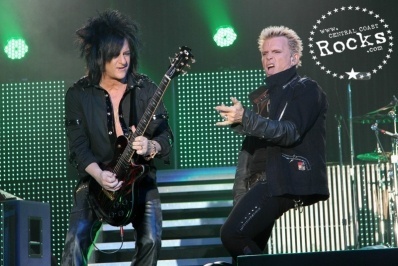 Make that a Sell-Out crowd, as fans from all over California welcomed the band which includes Idol’s long time guitarist Steve Stevens who showcased his phenomenal skills in one of the more memorable guitar solos of late, blending Spanish Flamenco Guitar styling fluidly with heavy rock riffs. 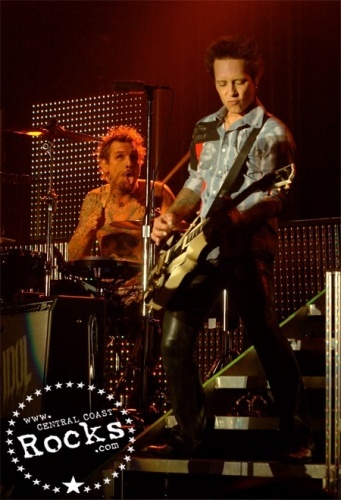 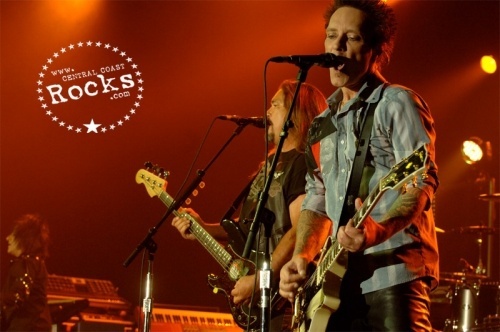 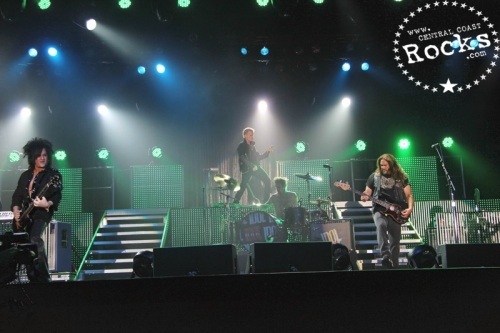 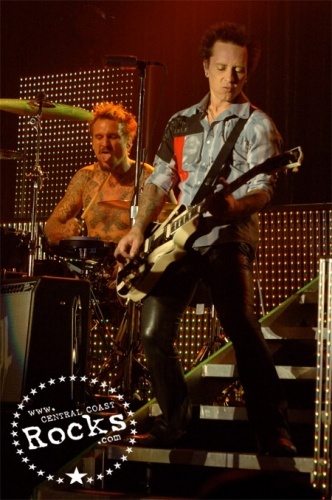 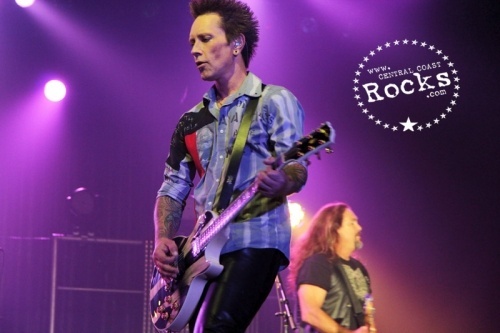 Rhythm Guitarist Billy Morrison is a charismatic addition to Idol’s live band, which also includes Stephen McGrath on Bass, Derek Shirinian on Keyboards and Drummer Jeremy Colson. 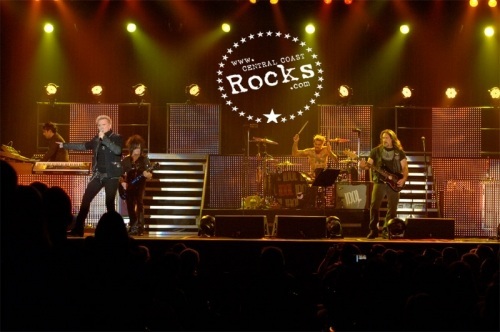 The shows on the groups “Rocktober” tour have been a huge success and the band has been introducing new material to the set list for this set of gigs. 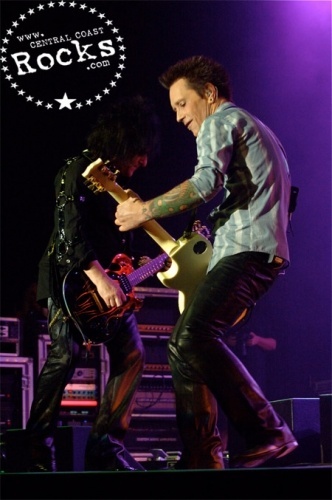 The two new tracks that were played live this month are ‘Postcards From The Past’ and ‘Too Far To Fall.’ The October 2011 set also included the Generation X track, ‘Love Like Fire’, the Billy Idol album track ‘Do Not Stand In The Shadows’ and the new track that was first performed last year, ‘Kings And Queens Of The Underground’. 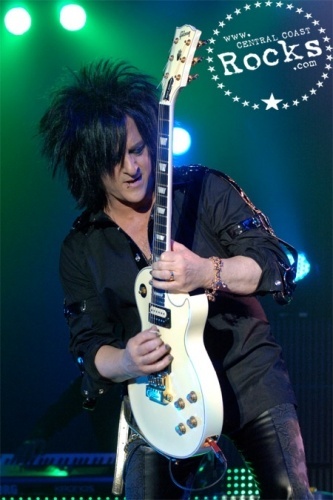 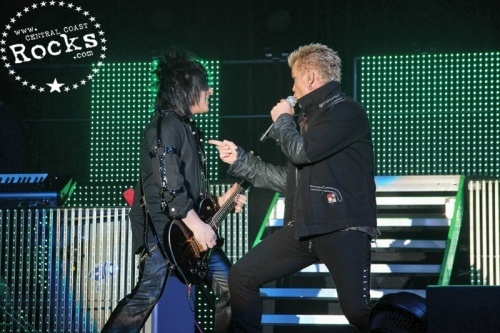 At this point, IDOL hooked up with guitar genius Steve Stevens and a crucial musical partnership was forged. 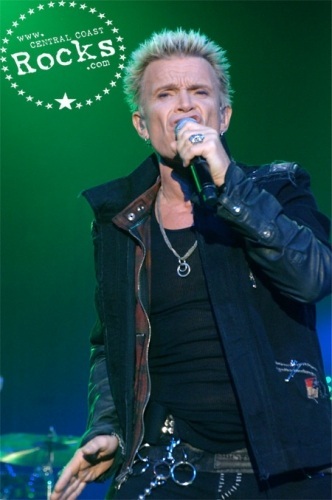 Idol’s first solo album was released by Chrysalis in 1982, but it didn’t hit its chart peak in the UK until 1985 when the self-titled album’s “White Wedding” was a major club hit and hit No.6 in the UK, fueled by heavy video play on MTV. 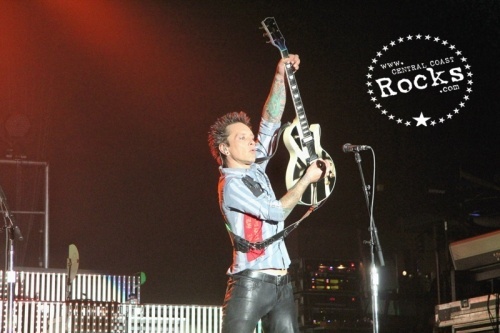 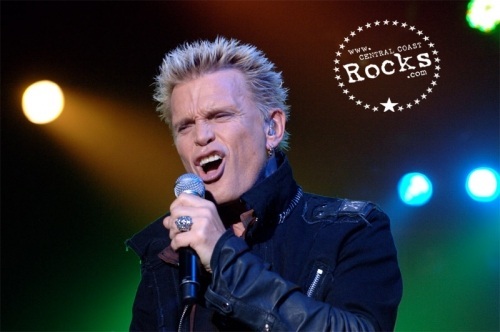 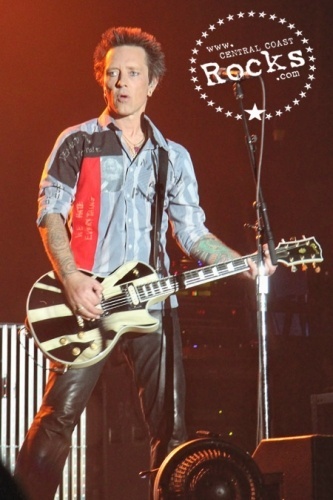 “White Wedding” also crossed over to the Top 5 of the Mainstream US Rock chart, while “Hot In the City” made the Top 50 of the Billboard Hot 100, and Billy Idol was certified gold with U.S. sales totaling more than 500,000 units. 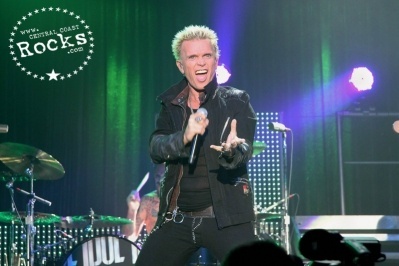 The niche that BILLY IDOL has created over these past few decades is impressive. 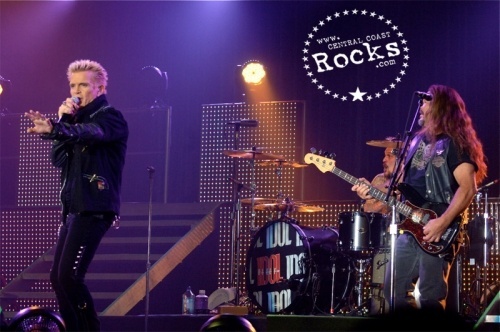 IDOL is respected as the original punk rocker who long ago found a way to take that sneering punk attitude into the pop and rock mainstream, carving out songs that have lasted a lifetime. 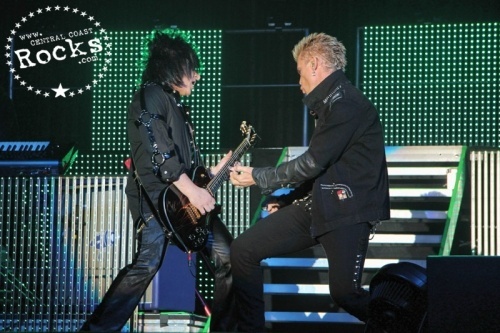 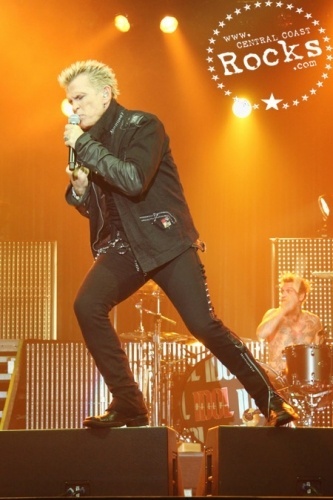 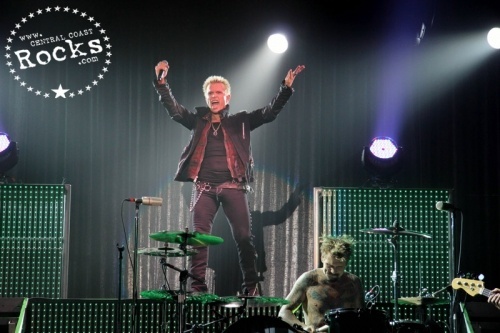 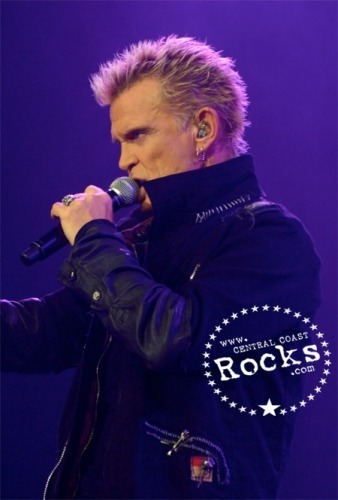 His immortal “Rebel Yell” was also featured on 2008’s Guitar Hero® World Tour game. 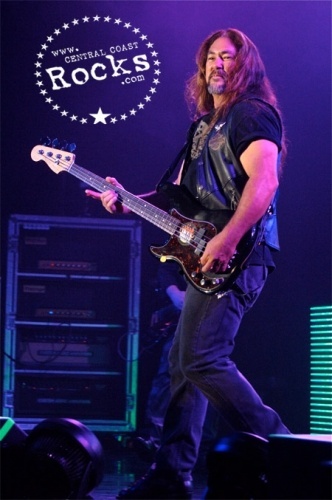 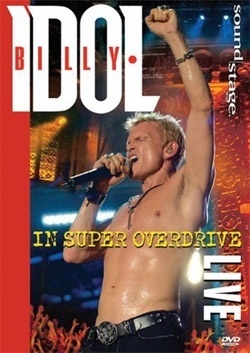 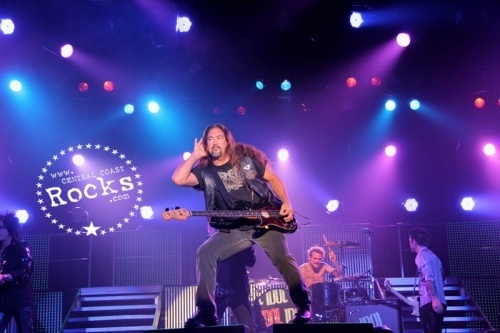 In 2009, Eagle Rock Entertainment released IDOL’s first in-concert DVD “In Super Overdrive Live” (filmed at the Congress Theatre in Chicago). 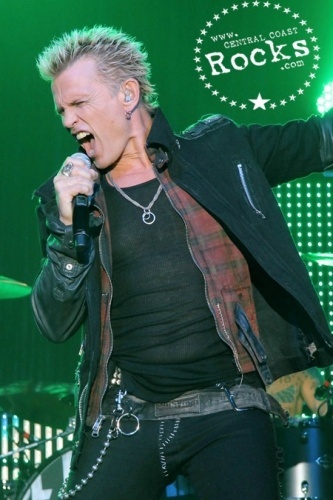 Billy Idol has signed a contract for his memoir, to be titled Dancing With Myself. 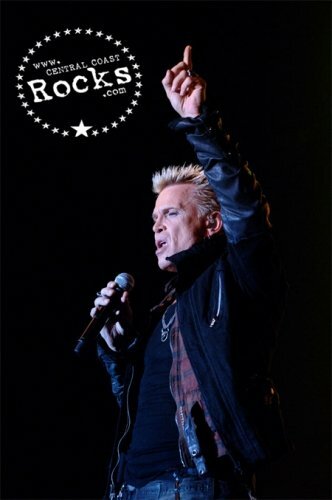 The ‘80s rock icon has signed a deal with Touchstone, a subsidiary of publishing house Simon & Schuster.The memoir, named after the iconic first single from his first punk band Generation X and rereleased as a solo track, is due out in late 2011 or 2012. 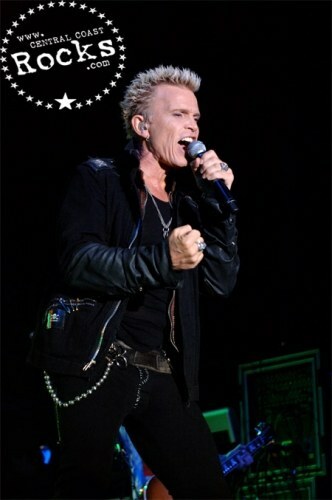 Instead of using a ghost-writer, Idol will write the book himself, a press release describing him as “a natural-born storyteller”.